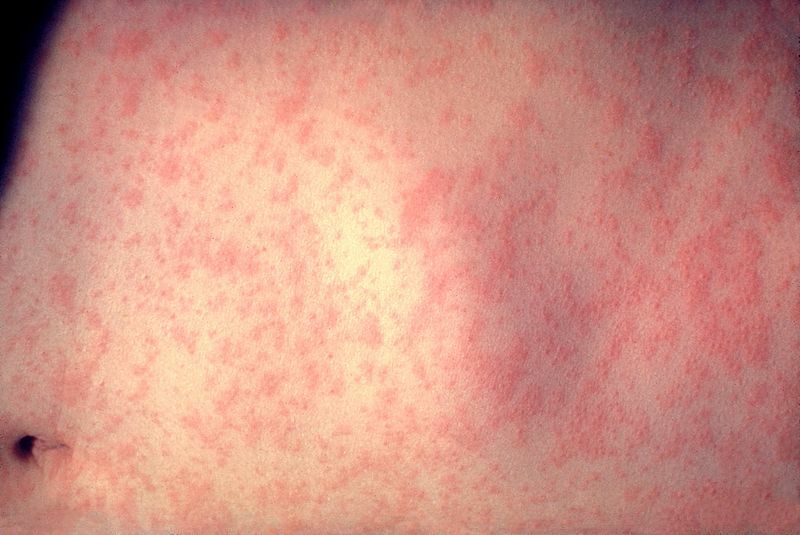 Authorities in the Philippines have declared an outbreak of measles in several places across the country, including in Manila. As of 26 January this year, 1,813 measles cases and 26 deaths were recorded by the Department of Health Epidemiology Bureau. This represents a 74 per cent increase on the same period of last year. Overall, cases jumped from 791 in 2017 to 5,120 last year. The outbreaks have prompted concern over the 2.4 million unvaccinated children in the country. Parents have been reluctant to have their children immunised at government health centres, after a series of childhood deaths linked to the Dengvaxia dengue vaccine. The scare started in late 2017, shortly after some 837,000 children were given the vaccine. Dr Gundo Weiler, World Health Organisation representative to the Philippines, said immunisation rates were far below the target of 95 per cent and continuing to fall in the light of the Dengvaxia scare. In 2016 the rate was about 75 per cent, but this fell to 60 per cent in 2017. It it likely to have fallen further last year. Health Secretary Francisco Duque has stressed that bronchopneumonia from measles complications can be deadly. “We are declaring an outbreak as cases have increased in the past weeks and to strengthen surveillance of new cases and alert mothers and caregivers to be more vigilant,” he said in a statement today (Thursday, February 7). Initially the epidemic was only declared for Metro Manila and Luzon, but today the Department of Health expanded the outbreak area to include other parts of the Philippines.